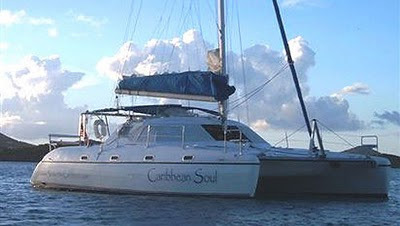 Welcome aboard Caribbean Soul a 36' Jaguar Catamaran specifically designed with sailing in mind. Aboard you will experience the true soul of the Caribbean. A wonderful adventure awaits that will take you through the US and British Virgin Islands with a congenial and experienced crew. There are no typical cruises, each is unique and guests decided how much or little they would like to see and do.